Vodafone Fiji 7s rugby coach Ben Ryan says being part of his first ever Pacific Games is special to him. Speaking to PACNEWS in Papua New Guinea, Ryan says it has been a very unique and special experience. The World Sevens Series winning coach adds he has been to the Olympic Games Villages, Commonwealth Games and Sevens World Cup but the Pacific Games is a totally different experience altogether. 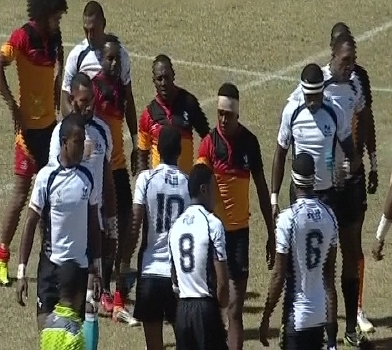 Fiji remains undefeated in the pool stages after beating hosts, PNG 17-0 and before brushing aside dumped Guam by 52-0 and the Solomon Islands, 69-0. The national side faces Tahiti in its last pool match at 4.20pm. The Telecom Fijiana will also be in action today, taking on Tahiti at 3.28pm and Tonga at 6.46pm. 31 medals will be handed out across five sports today, which are tennis, squash, and power lifting, shooting and swimming. Looking at the unofficial medal tally, Fiji is still in sixth spot with seven gold, 11 silver and 11 bronze medals. PNG leads with 21 gold, 10 silver and eight bronze medals, Tahiti is second with 16 gold, 10 silver and four bronze. New Caledonia is third with 12 gold, nine silver and 11 bronze, while Samoa has 11 gold, 15 silver, and Australia has six gold, 14 silver and nine bronze.